Why isn't Kashmir hurting from demonitisation unlike the rest of India? 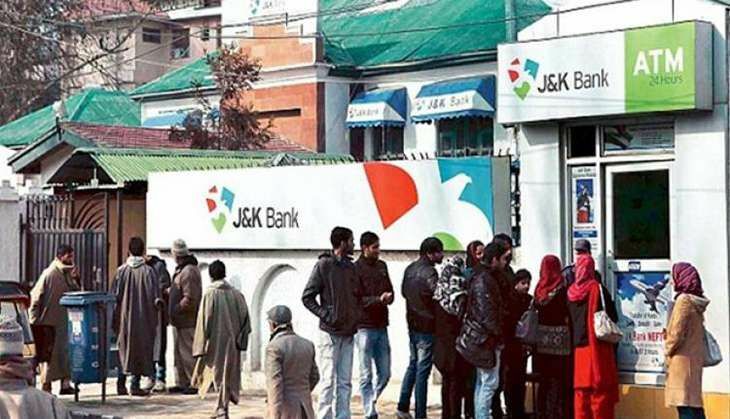 Defying the nationwide trend, people in the Kashmir valley are queuing outside ATMs and banks. Rs 500 and Rs 1,000 notes are still widely used, and are likely to remain in circulation until the deadline of 30 December. India was thrown into chaos on 8 November after Prime Minister Narendra Modi announced the demonetisation of Rs 500 and Rs 1,000 currency notes. The cash crunch made it difficult for people to buy even essential items such as milk, vegetables, fruits and grocery. Surprisingly, however, life went on as usual in the troubled valley. Reason? Mutual trust and a strong sense of community, according to people on the ground. Most Kashmiris buy things of daily need from neighbourhood grocery shops. They usually pay to the shopkeepers at the end of the month. This is why the common Kashmiri did not have to plead with the grocer to give her goods on credit. "My father recently went to buy ration from a nearby shop. He came back with Rs 1,000 in his pocket. He had borrowed it from the shopkeeper as there was no cash left in the house. This amount is enough to meet the expenses for 1-2 days. We will manage to get some money by then," says the journalist Anees Zargar. It's not unusual for people in Kashmir to borrow money from their grocers in times of need, say during strikes and curfews. Anees points out that most shopkeepers keep cash handy, and they lend cash and give away essential items on credit knowing they will get their dues back. Umar Beg, who is studying for his post graduation at Delhi's Jamia Millia Islamia, says this is not restricted to essential items. "A few days back, we bought glasses for our house on credit. The shopkeeper knows that we will pay him as soon as the circumstances are normalised." Ironically, the ongoing agitation is also a reason why Kashmiris have been shielded from the woes of demonetisation. Most households store ration for 3-4 months to tide over any crisis due to unrest or bad weather, and they also keep cash handy to meet any emergency. Since the ongoing cycle of violence, killings, shutdowns and curfews has stretched for an unusually long period - over four months now - most families had little cash left to exchange when the note ban was declared. Additionally, there is a tacit understanding to accept Rs 500 and Rs 1,000 notes until 30 December. This is why people are not in a hurry to line up at banks and ATMs. No death or incident of violence related to demonitisation has been reported from the valley. Indeed, while most Indians were caught unawares by the sudden note ban, leading to chaos, Kashmiris treated the deadline of 50 days to exchange currency as a period of concession. They are gradually exchanging their money now. There are other reasons. "Kashmir is not as poor as some of the other parts of India. The land reforms undertaken after Independence have ensured social justice to an extent. Even the poorest people have some land for sustenance. This is why one doesn't find the kind of frenzy we are witnessing in the rest of India for note exchange here," argues another journalist Azan Bhatt. "Also, the corruption is relatively less in Kashmir. So, you don't have many corrupt people losing sleep over the government's move," Bhatt adds. Moreover, Azan points out, people in the valley face every crisis collectively. For example, when there was a shortage of vegetables in major towns during the early weeks of the agitation, farmers from villages came with truckfuls of supplies and distributed them without profit.